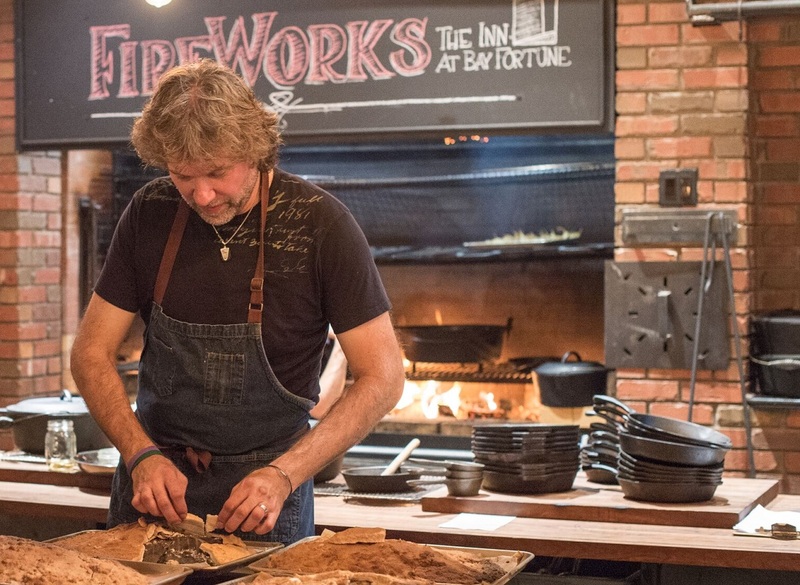 For celebrity chef Michael Smith, the Inn at Bay Fortune is both a dream come true and a labor of love. Early in his culinary career, Michael cooked here, filming his first TV series, The Inn Chef, and writing his first cookbook in 1998. He left to travel the world, producing TV shows and writing more books. Returning to his culinary roots in 2015, Michael and his wife Chastity purchased the property, reimagining, renovating and relaunching the 15-room boutique inn. 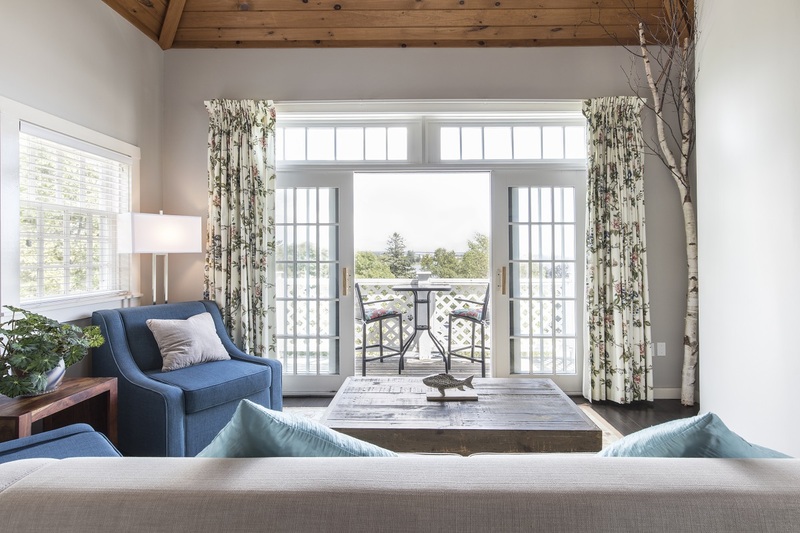 Nestled on a 46-acre farm way out on the eastern end of Prince Edward Island, it is the Island’s only five-star country inn — and well worth the trek. Chastity is the innkeeper and Michael runs Fireworks, the one-of-a-kind restaurant named for his passion —cooking with fire. The Inn reflects Chastity’s creative ability, bringing the outdoors into a cozy, homey, contemporary setting. The accommodations provide a superb balance to the energy and excitement generated nightly at Fireworks, instantly enticing guests to experience the true Island experience – to slow down, relax and enjoy the beautiful seaside setting with its million-dollar view. Many guests come specifically for the ‘Feast.’ Each evening at 6 p.m. with a drink in hand, diners are invited to stroll through the farm, stopping at grilling and smoking stations for hors d’oeuvres and all-you-can-eat oysters. 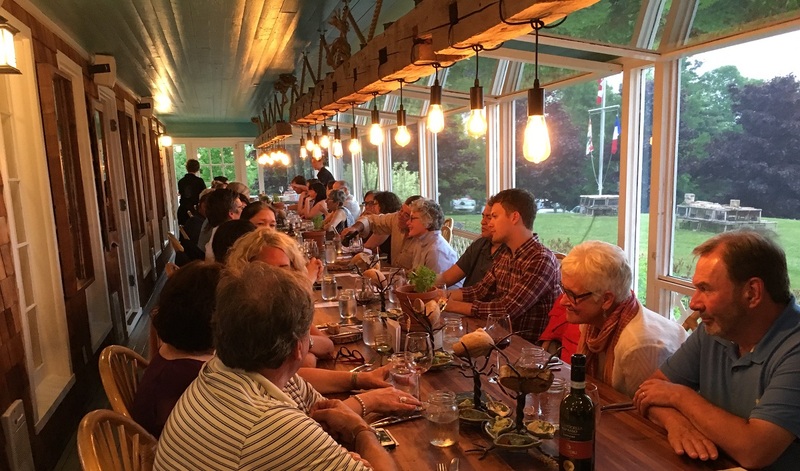 At 7 p.m. everyone gathers at long, communal, butcher-block tables for a family-style, six-course dinner that serves up ingredients fresh from this organic farm and from a roster of local farmers, fishermen and culinary artisans. Michael and his team of young, passionate chefs, a.k.a. ‘the Fire Brigade,’ cook everything — even dessert — on “a 25-foot long, open, brick-lined, fire-burning beast”, in view of the guests. While enjoying the culinary performance, everyone gets to know each other around the table. You can sample this slice of Island paradise from May to mid-October. Written by Anna Hobbs. Originally published in Cruise & Travel Lifestyles Winter/Spring 2018.